A high-quality track saw can be a versatile tool for a lifetime. With the combination of safety features, such as kickback resistance and slip resistance, you’ll be able to cut through thick hardwoods with ease. Learn more about the best track saws on the market now. The Dewalt TrackSaw Kit is just what you need to ensure a zero-clearance cutting system that delivers exact, straight, splinter-free cuts every time. Use this with the track saw dual-edged tracks to ensure only the straightest cuts in each direction. 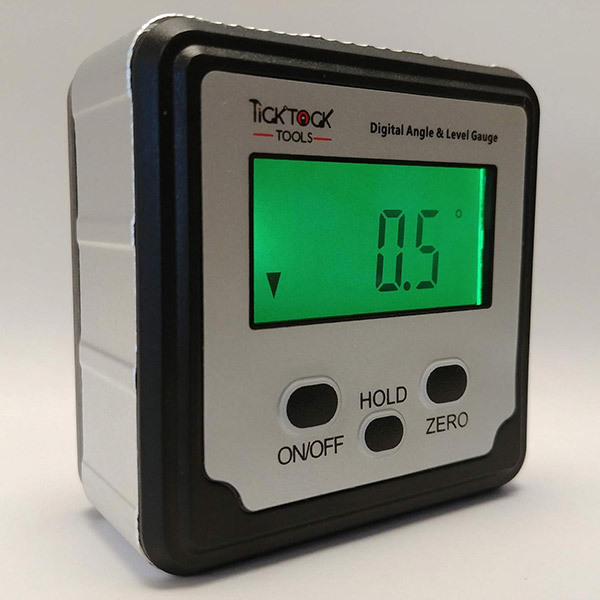 To ensure you know the exact depth of a cut accounting for track thickness, use the depth scale to accurately cut depths between 2-1/8 (54mm) at 90-degree angle to 1-5/8- inch (41mm) at 45-degree angle. The 12A, 1300W motor powers through hardwoods up to 2-1/8- inch thick with very little effort. The Dewalt TrackSaw Kit is equipped with a continuous anti-kickback mechanism and riving knife to prevent kickback when the saw is engaged. A low-profile blade guard allows the saw to be used in confined spaces, making it easy for you to get the perfect cut in close corners. Get accurate, straight and splinter-free cuts every time with the zero-clearance track saw cutting system. Take this cordless Tracksaw kit with you anywhere with the convenience of portability! With the same strength of a corded tool, this zero clearance TrackSaw cutting system allows you to create straight, splinter-free, detailed cuts every time. The dual-edged tracks cut perfectly straight in both directions. Effortlessly power through hardwoods up to 2-1/8” thick with the brushless motor. Cut 2-1/8” at 90 degrees and 1-5/8” at 45-degree angles. The depth of cut scale accounts for the accurate thickness of the track you are working on. The anti-kickback mechanism and riving knife prevent kickback when the tool is engaged. This saw is equipped with a straight plunge mechanism for optimal ergonomics. It has an enclosed low profile guard that gives a 90% dust extraction capability. If you are looking to invest a bit more in your TrackSaw, the DEWALT 6-1/2” 12-AMP TrackSaw Kit with 59-Inch and 102-Inch Track is worth the $611. A Parallel plunge enables you to maintain a smooth and constant hand position during the process of cutting. Equipped with a 48-tooth blade to produce fine and accurate finished with little to no breakout in laminates. 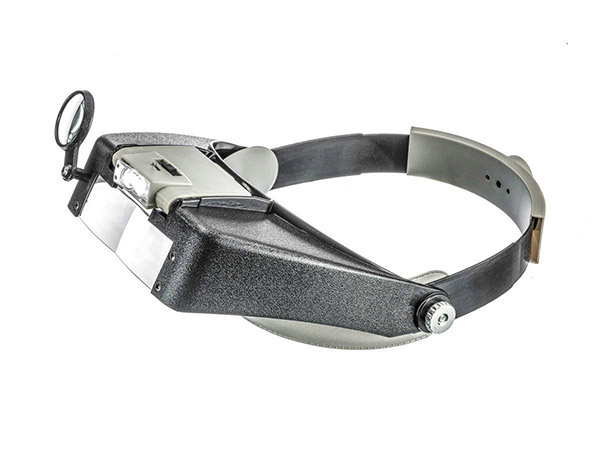 Adjust your saw accurately to the rail with the included rail adjustment. Ensure your saw will be prohibited to move backward along the rail and unable to climb out of the workpiece when making plunge cuts. Set the correct speed with variable speed to match different types of materials. The padded and stone guard undercoated insulation over a rubber pad makes sure your saw produces as little noise as possible while the sink is in use. 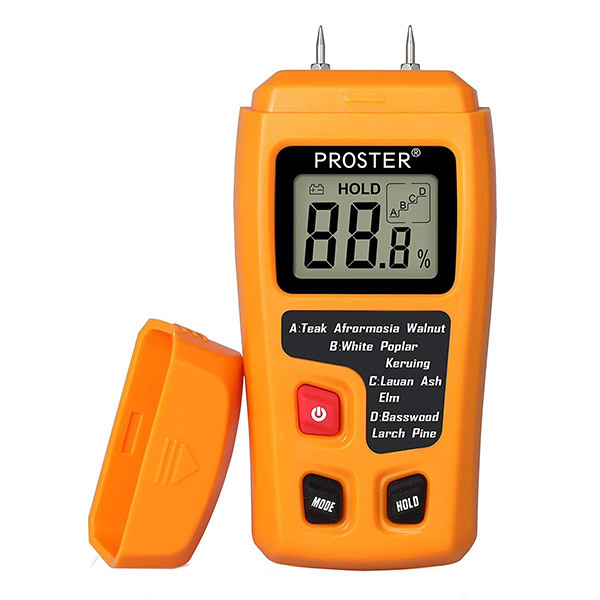 Maintain a constant speed under a heavy load with these full-wave electronics. The bounded guard offers 90-percent duct extraction capability. The 55-millimeter depth of cut offers the trimming and sizing of most generic door sizes. 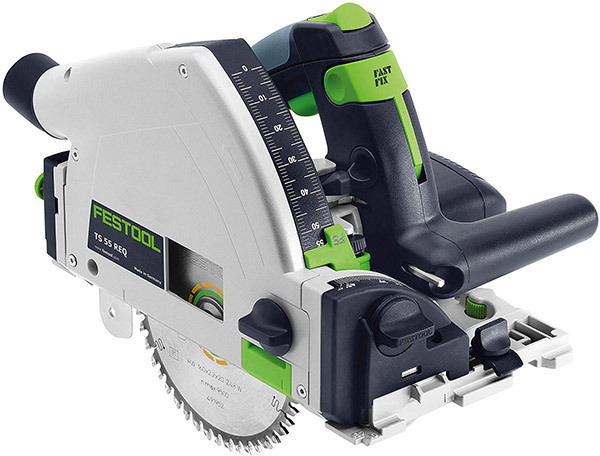 Unlike your average Circular Saw, the Festool 575987 Plunge Cut Track Saw Ts 55 Req-F-Plus is more comparable to the most advanced Table Saws, Miter Saws or panel saws available to be purchased on the market. 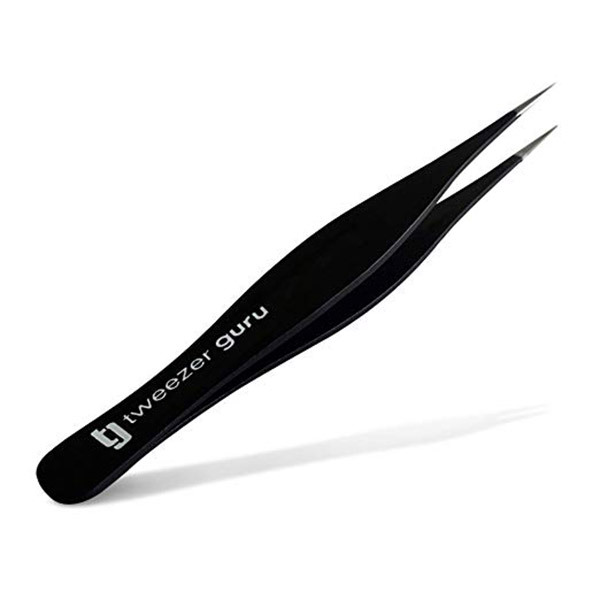 Enjoy the convenient portability and incredibly ease of use to experience the perfect cut each and every time with the laser-straight, splinter-free cuts. You know the saying, “Less is more”. Well, that is true for this Track Saw. Less equipment takes up less space and less time with the Festool System. Two cursor lines are features for the micro-adjustable depth indicator to enable precise material processing on or off the Guide Tail. Enjoy zero-tear out cuts with the Guide Rail Splinter guard and an integrated, replaceable splinter guard on the TS. Cut through nearly any surface with optimal results with the two available sizes and 9 blade types. The integrated spring-loaded riving knife holds the cut Kerf open and keeps the material away from the rear of the blade. 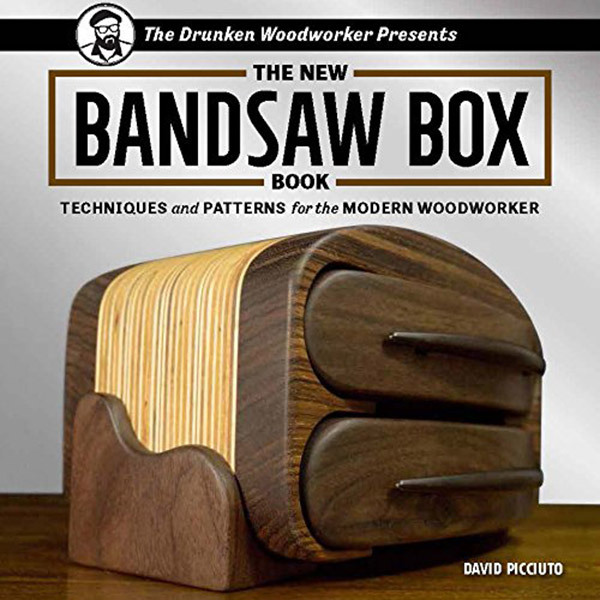 This reduces any chance of kickback, leaving the user fully in control of the saw. When looking for a track saw it’s important to find one that can handle the workload of your job. By reading this article, you’ll know all about what track saw will work best for your unique needs.